Discussion in 'Muppet Headlines' started by Phillip, Oct 15, 2013. On one hand, Disney did shut down its 2D animation department. That's a matter of fact, not opinion and it's a travesty. Disney's not really planning any major 2D projects to justify keeping it. They can always farm-out any minor work to an overseas studio, but Disney was founded on traditional animation and I think they should keep their studio open, even if it is with a skeleton crew. On the other hand, they are doing some great things with the Mickey flash-toons. Yes, this is Flash and it's not a matter of opinion. It is a fact. It's not the same as traditional animation, but Mickey Mouse has more personality and range than he's had in decades. There was a time when Disney decided to retire Mickey from animated projects and they eventually brought him back. I think the same thing will happen with 2D animation. That being said, I don't believe 2D is dead by any means. It's just going to be rare. Eventually the right team of people will come along and bring 2D back for special projects. Henry Sellick and Tim Burton who brought stop-motion back to the theaters for Nightmare Before Christmas. Let us not forget that was under Disney and it led to James and the Giant Peach. Nick Park then brought Chicken Run and Wallace and Gromit. Projects like the Fantastic Mr. Fox, Coraline, Frankenweenie and ParaNorman followed. That's certainly not a lot, but all of these were quality projects and there will be more coming when Boxtrolls comes to theaters next year. I believe this signifies what will happen to the future of 2D animation too. I wish there were more. The truth is that computer animation offers studios more options to go back and change things. That's why Spielberg made the terrible decision to nix matte paintings in favor of computer effects for his last Indiana Jones picture. Eugh. Back to Gaga. I'm surprised nobody is counting down the days as with projects past. There's less than two weeks until the special hits our televisions. Set your DVR's. Woohoo! Duke Remington and Aaron like this. Hey, I bought a cable that will link my digital antenna to the DVD recorder. This is the first thing that has motivated me to set up my setup to record a TV program. That's because one 30 second scene automatically paints this as the worst thing known to mankind. I think it's just the stigma that Gaga's headlining it annoys people and they just want to think the worst of this project. I'm defending the heck out of it, but my expectations aren't the highest. 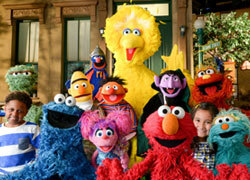 I doubt it will be some great project that blows Muppet Family Christmas and Christmas Eve on Sesame Street. My only expectation is that it will be a fun 90 minutes that has as many Muppets as possible, and not one of those specials where they get Kermit and Piggy in for 5 minutes. We've suffered through some real crap in the past for just Kermit and Piggy. We've got the Electric Mayhem here. Hopefully they'll get to sing something or get some sort of scene to themselves. I'll agree to this. The real exciting thing is the movie. This is just a nice promotional stop along the way. DrDientes, Duke Remington, muppetlover123 and 1 other person like this. Anyone who saw Gaga in last night's SNL shouldn't doubt this pairing with the Muppets. She was funny and self deprecating. She made it through her sketches better than the average guest star. Her live musical performances were impressive. She can play the piano and sing and good as Sir Elton John and then go on to dancing around and being spun upside down without missing a note. Say what you will, but she's a professional. I was expecting some edgier antics from her, but she mostly kept things in the PG range. Gaga showed up to play. Again, I'm not her greatest fan. I just think the Muppets are just as lucky to have her as she is to have them. Gaga and the Muppets are solid. Now it's up to the writers, producers and director to shape this special into something...er...special. Anyone who saw Gaga in last night's SNL shouldn't doubt this pairing with the Muppets. She was funny and self deprecating. She made it through her sketches better than the average guest star. Her live musical performances were impressive. I enjoyed her on SNL, but they put her in these weird sketches that just weren't funny. I liked the last sketch, but it was almost more depressing than funny... and oddly almost exactly like a skit Robin Williams did back in the 80's (which I should know about, having the Robin Williams SNL VHS. Shame that was never released to DVD). She powered through those weird skits like a professional, and frankly was better than some of the main cast. No doubt it will be better with Muppets. Seriously. Next year Cee-Lo and the Muppets. Someone should get on that. I'm excited to see this special! Should be a lot of fun! muppetlover123 and Bridget like this. Indeed, I am on the edge of my seat! Walter dearest where in heavens name have you been hiding? Missed ya! Walter and LaniArianna like this. Maybe next year they can have a David Bowie reunion. He's done Christmas songs before. We all have our tastes, but Cee-Lo and Weird Al just don't do much for me. I'd love for Cyndi Lauper to be included and she's Muppet-ready, but she doesn't bring in the large crowds either. Such fan assortments remind me of the Unpigged album. There really wasn't an artist I particularly liked and none of them were chart topping A-listers in 1994 like Prince, Elton John or Sheryl Crow. Just one such inclusion would have driven sales of that album. Instead we got Ozzy and Jimmy Buffet. I guess Vince Gill was big with the country people, but I can't name one of his songs. That's why I'm thankful for Gaga. Pokerface, Bad Romance, Born This Way, Applause and Paparazzi might not be everyone's taste, but most people can name a Gaga song. And that's why this is quality exposure. Anything less at this point is like pairing them with Rob Schneider and Hollywood Hulk Hogan. You're right about the sketches. SNL is in a transitional year, yet Gaga proved that she could be both the musical guest and host and do them all solidly. Most stars have trouble with doing just one. JonnyBMuppetMan and Duke Remington like this. UGH! That guy. Really... THAT GUY! The fact we're getting an A-list.... no... the fact we're getting anyone that isn't Rob Schneider is something we should be thankful for. I don't hate MFS at all, but that was the Terrible Guest Star Event Horizon for the Muppets. Gaga's a Muppet fan, and I'll say it again for the hundredth time... Muppet fans should work with the Muppets because they get them. Jason Segal and his crew were fans, and that film turned out to be chock full of Easter Eggs, mythology gags, and an overall grown up take on the Piggy/Kermit relationship. Then you look at Muppet show episodes where the guests didn't quite get it, and there's an awkwardness to any scenes they have together. Off topic, and I mentioned this somewhere else... the writers love throwing in jokes about things that only they get, leaving us with Bar Mitzvah boy or jokes about having kids or knowing people who have kids. Stuff where you have to know those kinds of people to get the humor of, vs. getting references to something. None of the newer cast has any signature characters, and I'm not sure if that's a good or bad thing. Such fan assortments remind me of the Unpigged album. There really wasn't an artist I particularly liked and none of them were chart topping A-listers in 1994 like Prince, Elton John or Sheryl Crow. Just one such inclusion would have driven sales of that album. Maybe it's because I was ten at the time, but in 1994 I hadn't heard of Prince or Sheryl Crow, and only knew of Elton because of The Muppet Show (and The Lion King, though I doubt I'd've remembered hearing about him as that movie's songwriter if not for his Muppet Show appearance). Though to be fair, I also had never heard of any of the Unpigged artists (except for Linda Ronstadt, and again because she was on The Muppet Show). And to be even more fair, whether then or now, I typically don't check out Muppet stuff because of the celebrity guests. The celebrity appearances are supposed to entice new viewers too. The fans are already going to watch. I can't imagine not knowing who Prince was in 1994. Maybe it's an age thing, but that's like not knowing Madonna. He'd already enjoyed over a decade of success with many hits, wrote songs for Madonna, Cyndi Lauper and Sinead O'Connor and even wrote several songs for the Batman soundtrack. He was big back then. Again, I mentioned current popular artists who were charting at the time. If you'd asked the average teenager who Prince or Cheryl Crow was in 1994, they'd be able to tell you. I doubt many would know much about Linda Rondstat. The Muppets deserve the best exposure and they're getting that with Gaga. The celebrity appearances are supposed to entice new viewers too. The fans are already going to watch. I can't imagine not knowing who Prince was in 1994. Maybe it's an age thing, but that's like not knowing Madonna. Not to bring this off-topic, but I also didn't know who Madonna was in 1994. Yeah, um...just don't know what to say about that. It sounds impossible to me. That's like not knowing who Michael Jackson, Elvis or the Beatles are. Obviously marketers and producers of a pop album aren't going to factor-in customers who aren't connected to popular culture. But it seems as if you would have purchased the album either way. Back to my point, I'm glad that the Muppets are no longer in the Vince Gill, Hulk Hogan, or America's Got Talent performer of the week sort of territory. 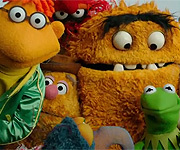 They deserve to get the biggest names that are most relevant to our times like they did in the days of the Muppet Movie. I'm sure there are some kids who didn't know who Steve Martin, Richard Pryor or Dom DeLuise were, but the mainstream moviegoer did and it paid-off big time. In 1994, hmm, I knew who Madonna was (probably from League of Their Own) and I kinda knew who Prince was, but only from like one picture in the paper. It wasn't until 96-97 that I really started watching VH1 and became more aware of popular music. But yeah anyway, yes it is good that the Muppets are getting off the D-List so to speak, even if the A-list doesn't impress me the way it used too, lol. If you'd asked the average teenager who Prince or Cheryl Crow was in 1994, they'd be able to tell you. I doubt many would know much about Linda Rondstat. The Muppets deserve the best exposure and they're getting that with Gaga. I agree to that. There are so many Muppet Show guest stars that were slightly popular at the time as well as ones specific to the British audience that have been forgotten or left unknown to an American audience. There are the timeless guests like the Star Wars characters, Julie Andrews, John Cleese, and Paul Williams (who's at least timeless to the Muppet fandom), and then you got the guy... you know... who always wore a shirt and that woman that sang that disco song that was popular once. And since some of these guests hit at the climax of their popularity, you just can't tell who's going to be talked about 20, 30 years from then and who you're not going to remember in a couple months. If the Muppets work with someone who's popular at the moment, that's not anything new. If anything, the guest stars are there for more casual audiences. Yeah, um...just don't know what to say about that. It sounds impossible to me. That's like not knowing who Michael Jackson, Elvis or the Beatles are. Well, I did know who those performers were at the time. But at the time Kermit Unpigged came out, I wasn't a teenager, I was a kid. The majority of celebrities I knew about (and could remember by name) were those who had been associated with the Muppets (and I was just starting to be familiar with the names of celebrities without any known Muppet involvement). I would know Madonna by name about a year or two later, but her and many other celebrities I knew about I wouldn't really be aware of their impact on pop culture until high school or later. I might have known about some of these stars I should have if I watched MTV or VH1, but never really did very often (unless it was to watch Weird Al Yankovic or Andy Milonakis). I have to admit, that would get my attention more. I'm going to be frank, Hollywood and the music industry really are just cesspools sometimes with all this "A list," "D list," "Has-Been" nonsense. To be fair, there are those who work hard and never find an audience, those who are forced into the public eye and everyone's forced to like the (cough cough Mathew McCounaghey cough cough), and those who people like then something happens or they get tired of the quickly. Some names attatched to movies kill them. There are those with fleeting fame and those with staying power and everything in between. You cannot tell who's who until years later when everything plays out. And yes, it is very so much completely unfair. MFS was pretty much a love letter to the D list, as no one was really interested in being in that movie (it was a mess all over). And most of the human stars in that movie kinda didn't do too well and felt aloof. F. Murray Abraham, Andie MacDowell (even though she got a really lousy part), David Arroquette, and especially Jeffery Tambor did quite well. Heck, I'd say the Jeffery and Bobo chemistry was one of the redeeming values of the film (MWOOZ could have used Bobo as the Wizard's assistant, just sayin'). Essentially, ABCDEFG list or not, if someone works well with the Muppets, especially a fan, that should be more valuable to the production than social ladder status. But seriously, the cameos in MFS were clumsy. Even the Hulk Hogan thing could have worked, but it just comes off a BLAM. It's almost campy, but doesn't achieve it. And I cannot say enough terrible things about Rob Schneider. Beauregard and jvcarroll like this.